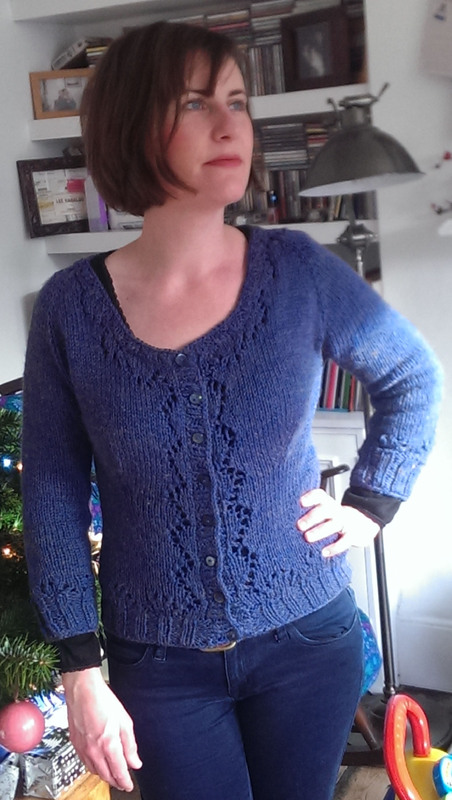 This entry was posted in Uncategorized and tagged Knitting, Miette cardigan by Joanne. Bookmark the permalink. Lovely! I can’t seem to graduate beyond knitted accessories, any tips for taking the plunge into something bigger? Thank you! Just go for it – with something like the miette there is loads of extra help out there in videos, knitalongs, reviews etc. You can do it! Yay it looks great! Can’t believe you’ve finished already, I’m still on row 80! Ooh I didn’t even think to look – thanks Sabs! This is your first ever knit?!? Are you kidding? It’s gorgeous…just gorgeous all around! Do yo mind me asking how long it took you? Not at all! I reckon it took about a month of a bit of knitting every day or every other day, sometimes an hour or two if the going was good. Wow, this looks amazing! What a lovely sweater! I’m a bit distracted, though, as in these photos you look so much like my sister it’s uncanny! Really? That’s so weird! I apologise for freaking you out! Fantastic! Yay you! It looks fantabulous. I must say I also like to wear my cardigans open at the bottom. Why is that?? I’m not sure either 🙂 Ravelry will give you all sorts of ideas for your next project, you can even search the patterns by difficulty level, which is always useful. Or just go right ahead and knit another Miette! This looks great – I’ve just bought the pattern and wool for one of her other cardis – the Marion – but I really like this one too. You’re obviously a natural – most people start with a scarf! That is a Magnificent Miette! You know, if you hadn’t spoken about any issues there would be none to spot. You got the length better than mine – mine’s a bit on the short side. I think the neckline just is like that. Sewaholic always seems to choose good knitting projects, if you’re looking for further inspiration. Oh bless you and thanks! I followed your blocking tips as well. It really does make a difference doesn’t it? I live the colour of your miette – very tempted to try similar! You’ve already got a bunch of skills from making this so I wouldn’t say you’re a beginner any longer! What about Audrey in Unst? You can leave out the lace pattern and just knit in stocking stitch if you want something plain. Or how about Deco (or any other of Kate Davies’ designs)? Wow Clare both those patterns are fantastic, particularly deco. Will add those to my ravelry library. Thanks! 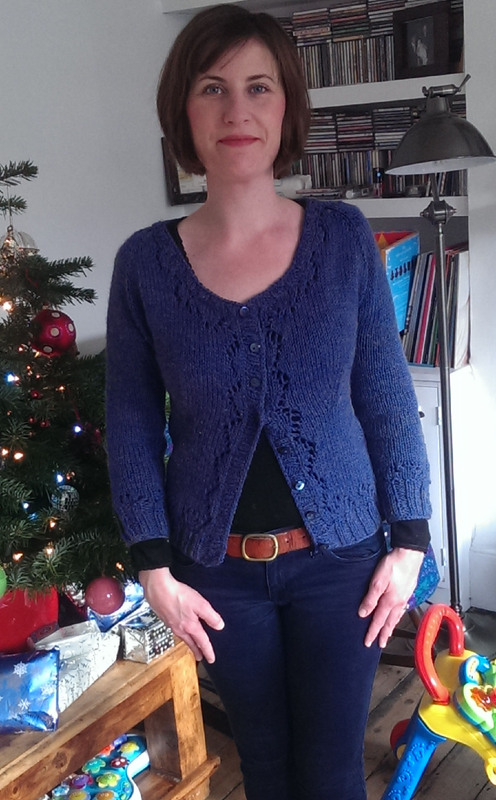 fantastic knitting Joanne! something I cannot do, although the last time I tried I was probably 10! I too am wearing a long sleeved thermal vest. I am fed up with hiding some of my nice tops under a layer of cardi/jumper. That’s brilliant! 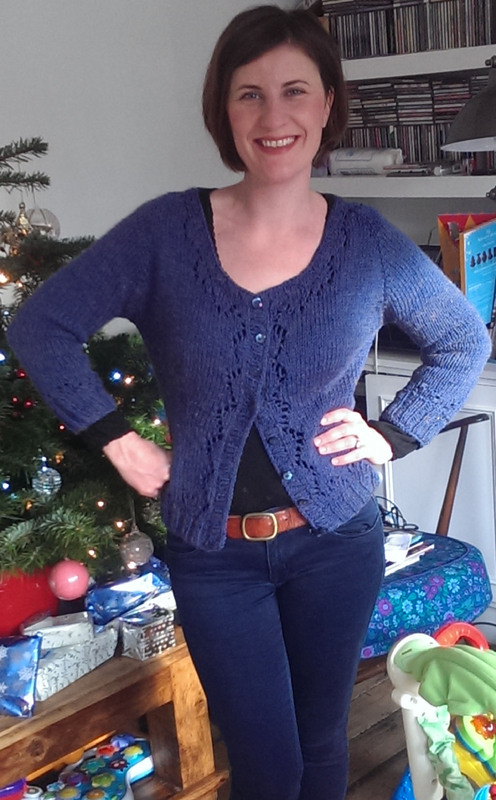 Lovely cardigan Joanne! Never mind the little mistakes. No one can tell! Wow, you look amazing! My Miette has been lying unloved in a cupboard waiting for me to get round to knitting the neck ribbing. You’ve given me the motivation to finish it off – I just hope it looks as good as yours! Just one tiny thing left to do Tania – do it! Do the hat Sallie you’ll make it fabulous… And then you’ll just naturally gravitate towards subverting marvellous to wear! Wow, excellent job! Congrats – it looks great! What an adorable little cardi. Love that yarn too. this is absolutely lovely darling. Nice work! This is amazing!! I can’t get over it being your first knit! Bravo – you finished it!! It looks great; the colour is especially pretty 🙂 You totally beat me too – ha! I must hang my head and go finish my Miette in the corner now LOL. Love this cardi! I’m a bit late on seeing this post but pleased that I did! Inspired to pick up the knitting needles again!